Copyright: © 1972, Hope Publishing Co. 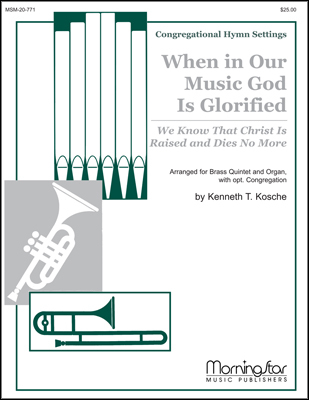 The content of the hymn centers on the power and necessity of music in worship. Similar to the great reformer Martin Luther, Fred Pratt Green believes that music is an integral part of our faith practice. He boldly states that music can open new dimensions that bring profundity to our lives. All people who have a voice should lift in song. 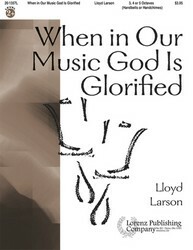 The lyrics for “When in Our Music God is Glorified” were authored by Fred Pratt Green in 1971. 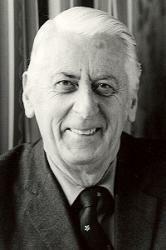 Pratt, a British Methodist minister, wrote some plays and hymns during his time on ministerial circuits, but did not begin writing extensively until his retirement in 1969. This hymn is from his prolific retirement period. Although this hymn is a recent addition to church hymnals, it has quickly become a popular congregational song. The tune for “When in Our Music God is Glorified” is titled: ENGELBERG. It was composed in 1904 by Charles V. Stanford, an Irish composer and conductor. The tune was originally written for William H. How’s “For All the Saints,” but is now primarily used for “When in Our Music God is Glorified.” When Stanford first published the tune, he included six additional musical settings. An editor needs to add scores for this featured hymn.